A four-day-old baby boy died under mysterious circumstances at the old government hospital here on Monday. There were injury marks on the baby’s body and family members said that the infant had died of ant bites. There was tension in the area as relatives and leaders of political parties staged a protest, alleging negligence of hospital staff as the reason behind the baby’s death. 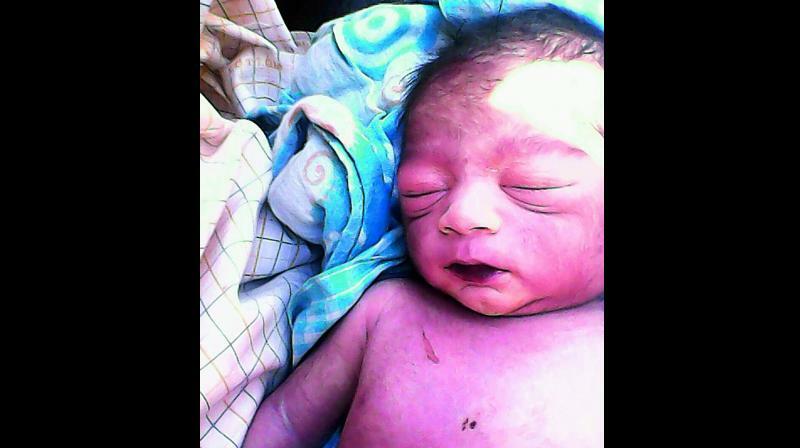 According to reports, Lakshmi, wife of autorickshaw driver Anjaiah, a native of Penumaka village of Guntur district, had given birth to the baby in the old government hospital four days ago. On Monday morning, Ms Lakshmi found the baby dead. She also observed injury marks on the infant’s body. Though the hospital staff put the baby on incubator, he did not respond. A four-day-old baby boy died under mysterious circumstances at the old government hospital here on Monday. As per relatives, a saline bottle that was hanging on a stand had fallen on the infant, injuring him. There were also other marks like rashes on the body, like ant bites.